Look on as the world's best Clash Royale players compete for a big-money prize in the thrilling eSports game's Crown Championship World Finals at The Copper Box Arena. Only 16 participants remain from the 28 million who entered, but only one of them can play their way to glory, which includes the honour of the gleaming Golden Crown and $150,000 USD in prize money. Clash Royale is a multiplayer mobile-based game that mixes characters from the popular Clash of Clans game alongside its own, which are known as the Royale family. Watch as players gather and upgrade cards such as enchantments and fortifications and Royale family characters, from princes and knights to baby dragons, in this real-time game. 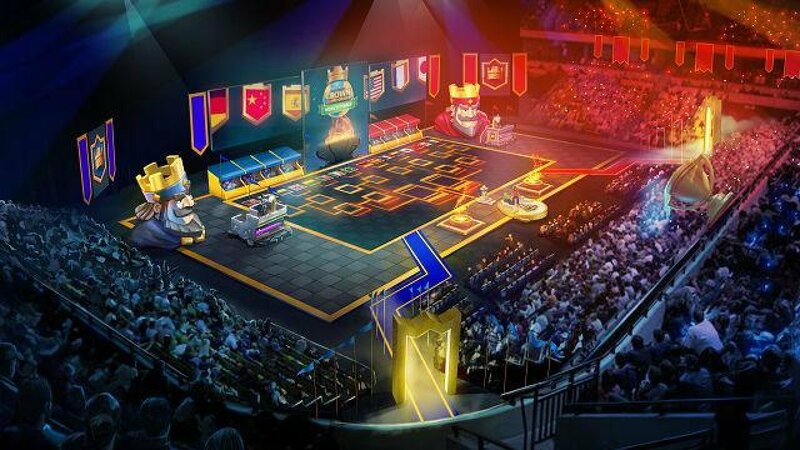 Witness the moment when the winning competitor guides their Royale family to triumph by destroying the opposition players' Royales from their towers, to secure the prize.